For over two decades, patients of all ages have been trusting Dr. Michael Morgan with their oral and overall health needs. He’s extremely passionate about helping patients, and has been serving the Double Diamond Community of Reno, NV for over 15 years. Dr. Morgan graduated high school in Texas. He went on to attend the University of Texas Health Science Center in San Antonio, graduating in 1989 with a Doctorate of Dental Surgery. At the time of his graduation, this prestigious school was ranked as the number one dental school in the country, according to U.S. News and World Report. He remains dedicated to continuing education. Every year, beginning in 2003, Dr. Morgan has attended a two-day seminar devoted to further study in the Tip-Edge Orthodontic method. He also commits to several days each year of additional training to stay on top of the latest techniques and trends occurring within dentistry. 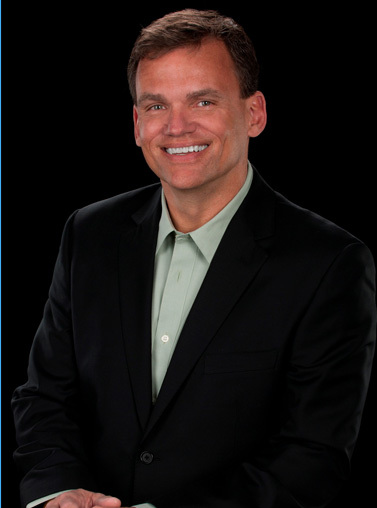 Dr. Morgan’s patients benefit from his wide range of experience in general, cosmetic, and restorative dentistry. His emphasis on patient comfort and continued learning, combined with his caring and consultative approach to gentle dental care, enable him to provide the best quality treatment possible for every patient. When he’s not at the office, Dr. Morgan enjoys spending time with his high school sweetheart, whom he married in 2010 — 30 years after high school ended. He has four daughters ranging in age from 17 to 25. He loves being a dad, along with golfing, camping, hiking, cycling, and taking advantage of all of the exciting opportunities Northern Nevada has to offer.